Wingspan, knitted from a red Zauerball. 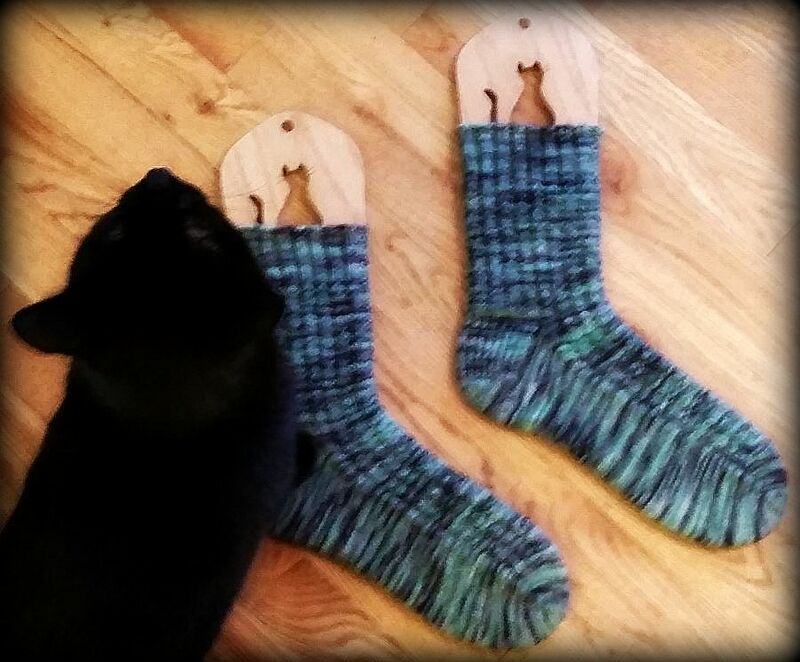 Ah, the magic of short rows and yarn with long colorways! Dear Author on making reading a safe place again. My local library system (Hennepin County) is one of 10 public library systems that have passed a million OverDrive digital checkouts. How having an ereader changed one reader’s reading habits. List of best of book lists from Largehearted Boy. “Filing off the serial numbers: Making the transition from fanfic to original fiction“. Neil Gaiman’s wishes for the new year. What the heck are DDoS attacks? What If? tackles faery demographics. Weird things that were dropped at midnight on New Year’s. 50 most embarrassing stories of 2014. The year in numbers from Consumerist. 86 fake viral images of 2014. “The state of the trans nation, 2014“. New York Times-style sugar cookies. Hazelnut crackers with vegan herbed cream cheese. Wintery sunset over Lake Calhoun. The best NHL holiday videos. T-shirts and buttondowns with constellations printed on them. 20-foot long triceratops for your garden. Animated latte art love story. Getting married in the Costco frozen food section. Looks like my New Year’s Eve (only there was less blood here, fortunately!). New Year’s in Cake Wrecks. And more! Star Wars action figures being fabulous. Baby cougar! Kitten! Cat! 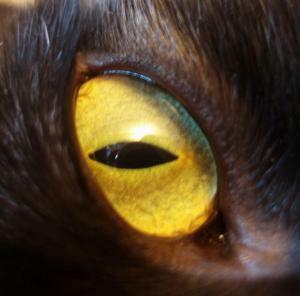 Black cats! 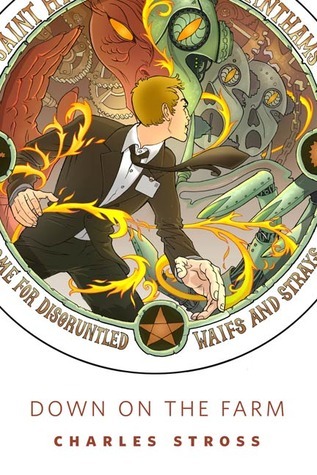 Down on the Farm (The Laundry Files 2.1) by Charles Stross. Good paranormal short in which Bob is sent to the Laundry’s psychiatric in-patient facility to investigate a patient complaint. 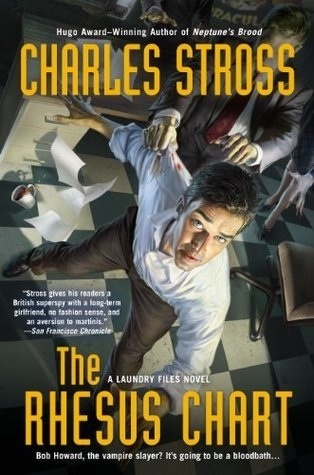 Equoid (The Laundry Files #2.9) by Charless Stross. Free online. 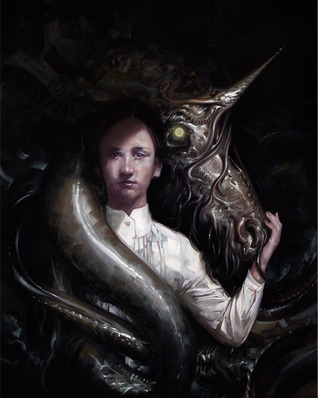 Good paranormal horror short about Bob being sent forth to hunt for unicorns, which have rather more tentacles and carnivory than Bob (or the reader) expects. 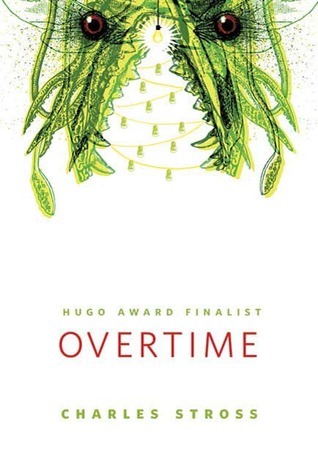 This won the Hugo for Best Novella this year. Overtime (The Laundry Files #3.5) by Charles Stross. Good short paranormal holiday story about Bob working overnight in the office on Christmas Eve. Of course he doesn’t have a quiet night. 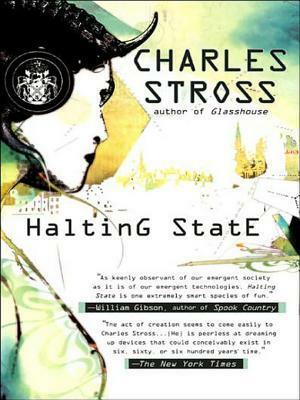 Halting State (Halting State #1) by Charles Stross. Weird but good scifi novel about a crime (or not) that may (or not) have occurred inside a virtual reality game. It’s told in second person (to give you the feel of playing a game, I think) from the alternating perspectives of three people who are trying to figure out what happened (or didn’t). Definitely took me a bit to get used to the unusual storytelling mode. 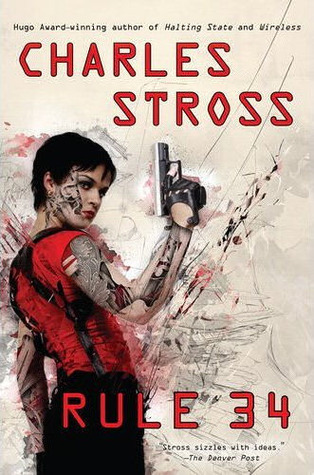 Rule 34 (Halting State #2) by Charles Stross. Rule 34: “If it exists, there is p0rn of it. No exceptions.” Good scifi thriller about memes, spam, and life in the surveillance state, told in alternating second person (mostly) from three main points-of-view, although the POV number ratchets up toward the end. While there’s no POV character overlap with the first book, one of the main POV characters played a significant role in the first book. Again, it took me a while to get used to the storytelling mode, but once I did I was immersed. Posted by Chris on Friday, January 2nd, 2015, at 2:00 am, and filed under Knitting, Linkity linkity link, Reading, Reviewettes. Chris- Happy 2015, to you and the kitties! You’ll pardon me if I never want to see another recipe in my life, I overdid it, as per. and the NYE with cats cartoon.. yeah, not so much here.. when midnight struck the dogs wanted to go out and bark at them, the cats sat on the windowsill and watched the pretty lights… they aren’t normal though.. Happy new year! I laughed at the pic of the black cats. Being a proud owner (read servant) of one haughty black kitty, I thought it was only her who would get that look of such such disdain. I do love her, but she definitely judges her mummy! Oh those fake photos, I mean that someone even believe those! Happy New Year Chris, Chaos and Mayhem! 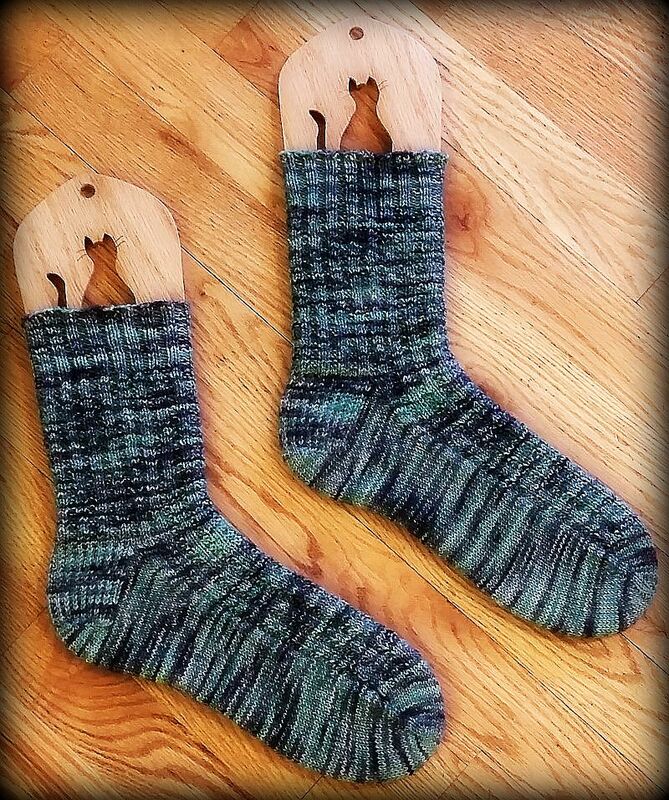 Did you knit those socks? So nice! I wish I could knit like that. That Wingspan is awesome! Great yarn choice. And socks! You have been holding out on us. Beautiful Wingspan. I did mine with a rainbowy kureyon sock. Mayhem, do NOT try to tie yourself in a knot. It will not end well. Pretty wingspan and more socks! Wow – you’ve been busy! !